Giving photographers the power to post has given National Geographic an Instagram following of 72 million. Brands inspect social media posts with a fine-tooth comb, making sure their messages are coming across in the right manner. But meticulous monitoring doesn’t always lead to high engagement numbers. National Geographic has cultivated a community of 360 million fans across social platforms by letting go. 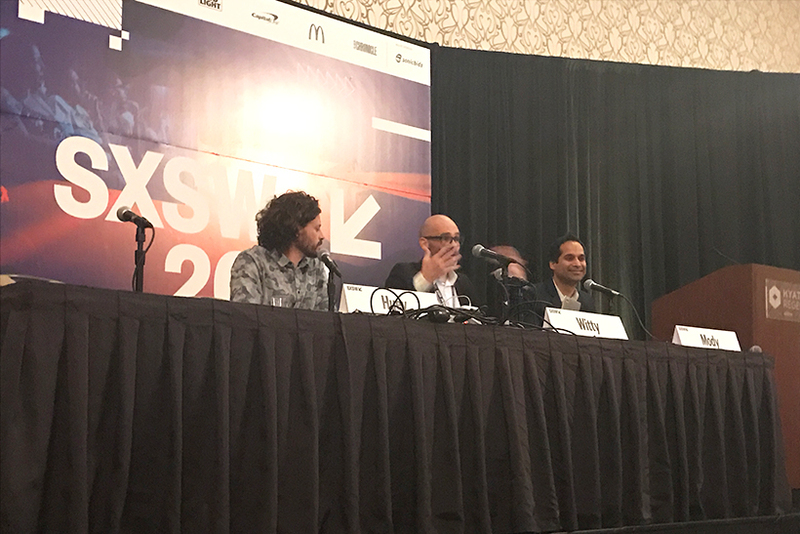 At SXSW on Monday, Rajiv Mody, VP of social media at Nat Geo, and Patrick Witty, deputy director of photography and digital, said the key to the brand’s successful social strategy is that it creates authenticity by turning over its accounts to the same photographers that fill its magazine and website with images from around the world. "One of the biggest drivers of growth for us has been from giving over the keys to our account to photographers and letting them post on their own," said Mody, discussing the brand’s Instagram strategy on a panel called Letting Go and The New Way to Tell Visual Stories. Brands most often give up control of their social media feeds to social media influencers for a set amount of time, usually a day. 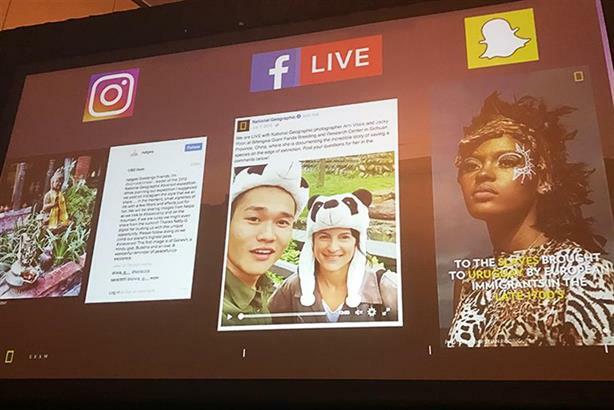 However, at Nat Geo, all 105 of the publication’s photographers receive the password to the brand’s Instagram account @natgeo from the start of their first assignments, according to Witty. Photo by @argonautphoto (Aaron Huey). A young boy covered in paint at a #Jouvert parade, Carnival Monday in #PortOfSpain, #TrinidadCarnival. J'ouvert is a contraction of the French jour ouvert, or dawn/day break. Bands of people covered in paint, mud, and oil make their way through the streets of Port of Spain drinking copious amounts of alcohol and dancing to welcome the daybreak of #CarnivalMonday. Aaron will be speaking at @SXSW this weekend, swing by the @NatGeo #Further BaseCamp to find out more! That means the photographers have the power to post anything they want to the brand’s 72.1 million followers on Instagram. Of course, they do provide a few guidelines. Nat Geo limits each photographer to eight posts a day, shared at least three hours apart, three times a week, according to Witty. "We don’t want to bombard our readers," he said. Still, he admitted those rules are broken all the time, and do not apply to those on long assignments or those working with video. Many photographers take the opportunity to tell tales of their time on the road in the captions of posts. For instance, Aaron Huey, a Nat Geo photographer who also participated in the panel discussion, explained how photos and stories about his journeys drive consumer interest as much as other subjects he photographs. "There's some crazy stuff that happens behind the scenes that's not appropriate for the magazine, but it's perfect for Instagram," said Huey. "The texture of life is unfolding on these assignments." An experimental Instagram account Huey set up to showcase his son’s experiences, who occasionally joins him on his trips, has amassed 225,000 followers. According to Witty, these types of stories feed users’ curiosity because the posts are "unfiltered" and "authentic." When discussing assignments with photographers, Witty said he encourages them to write "first-person captions and say how they are feeling." "I'm not going to dictate how people tell their stories," he said. "Let the photographer use his voice." In fact, the model has been so successful that the brand has started allowing photographers to post to other social platforms, as well. "We are now taking that approach and extending it to other platforms like Facebook Live and Snapchat," said Mody. Witty attributed part of the brand's massive reach on social to jumping onto new platform products early. Content, he said, doesn’t have to be created with the most expensive equipment to be effective. Along with Facebook Live, the brand has also experimented with Instagram Stories. The brand is also experimenting with Snapchat for the same reasons, said Witty. Photographers, he said, might soon be assigned to platform-specific projects rather than general photography assignments. "When Instagram Stories came out, it changed things," said Witty. "Stories are where it gets real. It's unpolished and not produced and much more experimental."